A deadly disease called chytridiomycosis (caused by the fungus Batrachochytrium dendrobatidis, aka chytrid fungus) has been decimating amphibian populations all over the world. Because of this threat, wildlife management agencies have felt an urgent need to implement prevention and mitigation measures. As a first step, it is important to understand if chytrid fungus is present within a region and how widespread it is. For example, if the fungus is localized in a few isolated areas, then quarantine may be possible. However, if it is widespread, then it may be more effective to monitor and document the impacts of chytrid on affected amphibian populations. Although the best option may be a combination of these strategies, the focus of management efforts is different in the two scenarios. 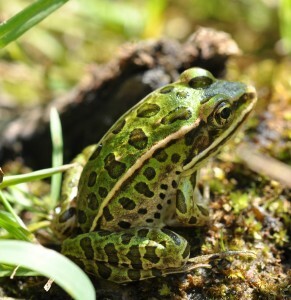 The primary goal in this project was to assess the distribution of chytrid fungus in British Columbia, Canada in the most efficient and cost-effective manner. This was done using an opportunistic and collaborative sampling design. Opportunistic surveys for chytrid fungus 2008-2009 indicated that it is widely distributed in all regions of British Columbia and in all of the frogs and toads tested. Rough-skin newts were the only salamander that tested positive for the fungus. Approximately 11.6% of all animals tested were positive, although this figure ranged from 0% to 71% in different populations. Indeed, the prevalence of the fungus was highly variable among species and among regions. The information provided by this chytrid fungus survey clarifies the direction that management actions for British Columbia should take. Based on this survey, it is reasonable to assume that the fungus is present in all regions and frog/toad species in British Columbia. 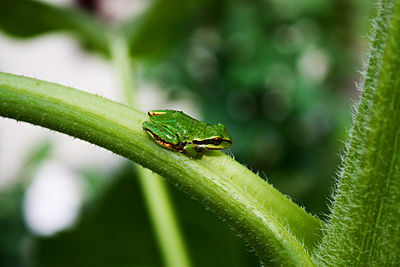 Ongoing efforts will focus on determining the genetic relatedness of regional chytrid strains and assessing the relative pathogenicity of these strains (i.e., their ability to cause disease). Future surveys will focus on rapid detection and characterization of amphibian mass mortality events to assess the role of chytrid fungus in these events.